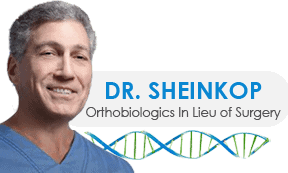 Regenerative Medicine or Joint Replacement? This past weekend, I had chance social encounters with two patients, not mine, unhappy with the outcome of their joint replacements. Their painful prostheses behaved no different than the patient with chronic osteoarthritis: swelling, limited motion, limp. Might stem cell management with an appropriate postoperative rehabilitation regimen have given the joint a better chance at remodeling and avoided a painful total joint? 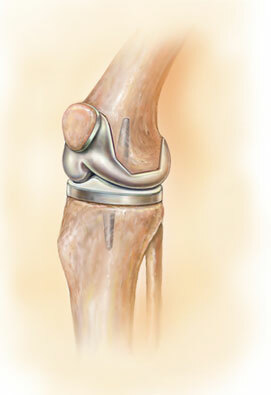 We continually seek better mechanical and biologic approaches to osteoarthritis prevention and treatment. It is now known that following high-energy joint injury, articular remodeling can be promoted through distraction and motion of cartilage surfaces. Papers presented at the International Cartilage Repair Society -Montreal-May 12-15 confirmed that altered motion and loading might really make a difference in treating end stage osteoarthritis. Equally important though, what about the pain generators in OA? It is paramount that the physician managing your arthritis try to understand all pain generators in a joint and optimize the joint environment prior to surgery, during the surgery or using stem cells in lieu of surgery. First, the joint volume and capsular compliance need be addressed. Second, the inflammatory burden need be minimized. Last, mal-alignment need be neutralized. I will stress over and over that the data to support my treatment algorithm must be increased via outcome surveillance. That data can only be gathered through clinical practice. Based on what we have learned in managing arthritis with stem cells over five years, there is data to support the reversal in loss of articlular cartilage, eliminate inflammation and increase range of motion.